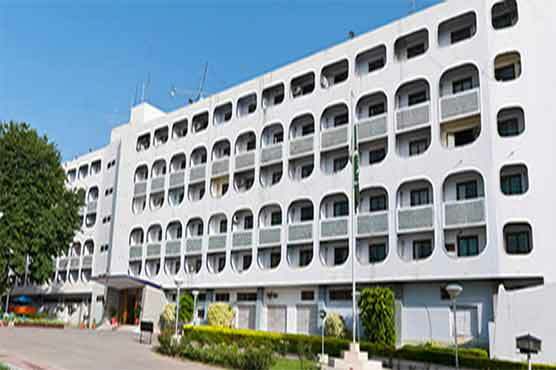 ISLAMABAD, Nov 9 (APP): Pakistan on Wednesday protested over ceasefire violations on the Line of Control (LoC) by Indian security forces and summoned the Indian Deputy High Commissioner here at Ministry of Foreign Affairs. The Director General (South Asia & SAARC) summoned the Indian Deputy High Commissioner and strongly condemned the unprovoked ceasefire violations on November 8 by the Indian forces on the LoC in Khuirata and Battal sectors, resulting in martyrdom of four civilians, namely Ashfaq, Naeem Ghazi, Kulsoom Bibi and a young girl Amna, of 10 years of age and injuries to seven others. “The Director General urged the Indian side to respect the 2003 Ceasefire Understanding, investigate the continued incidents of ceasefire violations, instruct the Indian forces to respect the ceasefire, in letter and spirit, stop targeting the villages and civilians and maintain peace on the LoC,” a statement by Foreign Affairs Ministry said. The statement mentioned that so far, this year, India had committed 222 ceasefire violations out of which 184 have been on the LoC and 38 on the Working Boundary, resulting in martyrdom of 26 civilians and injuries to 107 others.